Gurgaon-based InstaOffice Business Solutions Pvt. Ltd, which runs a chain of business centres and co-working spaces, has raised an undisclosed amount of funding in a pre-Series A round led by online venture capital platform Globevestor, it said in a statement. The round also saw participation from a group of angel investors including Zishaan Hayath, co-founder of Toppr; Karan Chellani, managing partner at early stage VC firm SQUE Capital; and Mohit Satyanand, director of DFM Foods and chairman of Teamwork Arts. InstaOffice was launched in Gurgaon in February 2016 by Vikas Lakhani and Devendra Agrawal. Lakhani was previously working with advisory firm Copal Partners. Agrawal is also founder and CEO of boutique investment bank Dexter Capital Advisors. InstaOffice partners with landlords while staying light on its capital expenditure and operational expenditure needs, which has enabled it to acquire scale at a lesser cost compared with other operators in the space, the firm said in the statement. “Co-working is a fairly nuanced industry. The key is to build the right product with the right value at the right location, which InstaOffice continues to do. Hence our members come from across the board—ranging from early stage entrepreneurs, mature startups, SMEs to large corporations and MNCs like Dr. Reddy’s, Staples, Yahoo, Amazon among others,” said Lakhani. “Commercial real estate has been plagued by multiple friction points and two of them have been leases with long-term lock-in periods and availability of only large floor plates. 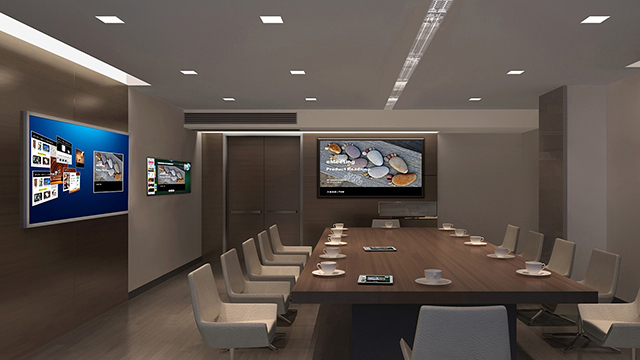 However, users today need spaces which are highly flexible in time, area or layout of the space,” said Agrawal. The startup has four centres in Gurgaon and two in Bengaluru; four more will be ready in Delhi-NCR in two months, it said. Most of its centres are located in key business districts and commercial locations including Golf Course Road, Sohna Road and Sector 32 in Gurgaon, and Indiranagar in Bengaluru. Vertices Partners was the legal advisor for InstaOffice’s for the fundraise. Globevestor had previously invested in startups like self-driving car rental firm Zoomcar, test preparation portal OnlineTyari and fintech startup Rubique. “India is going through a shift in workplace preferences by companies of all sizes. Given the business acumen of the core team at InstaOffice, we are excited to back the firm,” said Ankur Srivastava, co-founder of Globevestor. Last September, CoLife Advisory Pvt. Ltd, which operates a network of shared living and working spaces under CoLive247.com and CoWork247.com, respectively, had raised $1 million (Rs 6.7 crore then) in seed funding from a group of undisclosed angel investors. Delhi-based 91springboard that provides co-working space to startups recently raised an undisclosed amount of funding from Khattar Holdings, ThirtyThree Investments and others. Launched in 2013, 91Springboard started operations in Delhi and has later expanded to Gurgaon, Noida, Hyderabad, Bengaluru, Navi Mumbai and Mumbai. Another co-working space provider BHIVE raised about $1 million in a funding round led by Blume Ventures in May 2016. It had also raised an undisclosed amount in angel funding from a bunch of investors in February.